2011 May » Embroidery Talk Has Moved! First up today is embroiderer, digitizer, blogger and my partner in column writing, Erich Campbell from Black Duck Ink. He points out a great post on another of my favorite blogs StitchPunk from Urban Threads. This post spotlights some terrific uses of embroidery that aren’t ordinary. Erich has also announced that he’s done some more design and embroidery work for Stitches Magazine which will appear in a future issue. I’m told that some EnMart products were used in the creation of the new items, so I’m doubly excited. 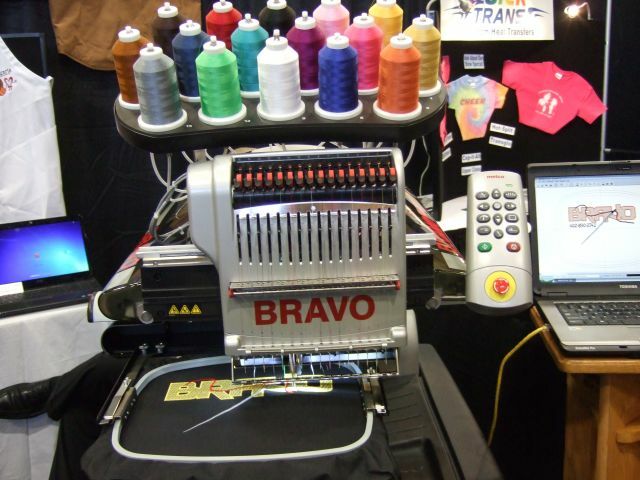 Second on the list today, the National Network of Embroidery Professionals (NNEP) has announced that attendee registration is open for the 2011 Embroidery Marts in Houston and Nashville. EnMart will be exhibiting at both these shows, and we’d love to see all of you there. The NNEP shows are a great size and lots of good vendors exhibit, so they’re definitely worth attending. Third on deck, we have an announcement of a new shirt from Odd Guy Art. Anyone who’s read this blog, or our Twitter feed knows I’m a fan of Odd Guy Art, so a new shirt is pretty exciting. Unfortunately, the new shirt does not appear to be on the site yet, but it should be there soon. I definitely recommend checking out Odd Guy Art if you haven’t yet done so. They have a quirky sense of humor and cool shirts. Fourth at bat today is a post from a blog called Brass Tack Thinking. The post is about building networks and why you should cultivate those networks before you need them instead of when you need them. I’d like this post even if it didn’t fall in line with my own thinking because it encourages building community and relationships all the time, not just when you want someone to pass along your Tweet or help you find a job. Her post makes a lot of sense. Fifth on the list today is an interesting debate that was started by a post on the Rizzo Tees blog. The post “Despicable You” points out a post from a supposed “social media expert” who recommended that one of her potential clients attend a coaching session with her so she could help him “capitalize on this storm”. She was apparently referring to a bad storm that had happened in Dallas, but many people felt, with all the bad storm damage and death as a result of storms that have happened lately, her Tweet was in bad taste. To me, this is a classic case of how a poorly worded Tweet or Facebook post can get you in a world of trouble. This is definitely a cautionary tale. Finally, I wanted to point out a post on the SubliStuff blog that is good news for Mac users. Sawgrass now offers MacProfile, color management software for Macintosh computers. If you’ve been doing sublimation and wishing you could use your Mac, the answer to your wishes is here. Let’s face it, customer service is very easy to get wrong and sometimes very hard to get right. You can read all the tips and hold training for your employees and mandate exactly how customer questions and complaints are to be handled and still find out the way you handle things isn’t working for your customers. The hard truth is that the opinion about what constitutes good customer service varies. Each individual customer will have a different idea about what serves their needs best, and what delights one customer won’t be nearly enough to satisfy another. So this is the challenge you face, how do you know when you’ve created a good customer service strategy? How can you tell when your strategy is flexible enough to meet the needs of your customers, but has enough boundaries that your staff knows where the lines are and can manage their interactions with customers capably? It’s a tough question, so perhaps the easiest way to answer is to spell out what, in my opinion at least, is not good customer service. It’s one size fits all. Different customers will have different needs and you have to be ready to adapt to meet them. Your customers dread interacting with you. Rude reps, long, convoluted phone menus, we’ve all dealt with them. 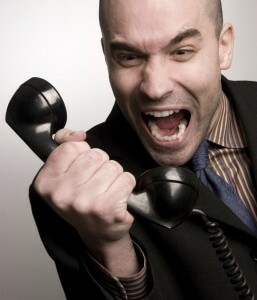 If your customers heave a sigh before they dial your number, your not offering them the service they deserve. It takes forever to get a response. The maximum time a customer should wait is 24 hours, and I think even that’s stretching it. If you can’t resolve the problem at the initial contact, at least let the customer know you’re aware of their problem and are working on it. Your customers are told you shouldn’t have bothered us with that. Yes, your company may have suppliers. Yes, your company may have partnerships and you may spell out how certain problems are supposed to be handled on your website or in your collateral material. Customers are still going to call you. Be nice and be helpful when they do. Nobody answers your phone. I understand why companies use automated phone systems, it’s a savings on customer service personnel, a lot of calls may be routine, it’s available 24/7, there are a million reasons. The best reason for not using one, or using one only to route calls is this: people like to talk to people. If you have to spend five minutes going through a menu and repeatedly insist you need to talk to a human being before you’re allowed to do so, then you’ve put too many barriers in front of your customers. You think you’re the only game in town. If you offer a specialty service, it’s easy to think you’re the only option so people have to come to you. No one has to do business with your company. If may be inconvenient or more expensive, but there is always another alternative. If you’re customer service is bad enough, people will find it. It isn’t flexible. Rules are necessary and every customer service plan worth its salt will have them. The problem comes when the rules can never be broken. 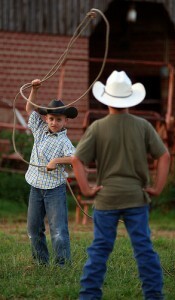 Good customer service has to be able to bend to meet the needs of the customer. Obviously, these are my opinions on what makes bad customer service. I’d love to know what your ideas about what makes for bad customer service are, so please leave them in the comments. You should also remember, if you run a business, the surest way to figure out how to offer customer service that will delight your customers is to ask them what they want and need. First up today is a post I love, love, love. It deals with two things that annoy me and calls them both for being the crap that they are. The first is the term “social media expert”, which is used by a lot of people who neither understand social media nor are experts at using it. The second is the idea that social media is anything more than a tool in your Marketing toolbox. Social media is just another way to interact with your customers. It’s not the be all and end all, and it only works if your customers are using social media as well. If they’re not, then you’re talking to air. Peter Shankman also gets bonus points for pointing out that bad writing is ruining America. As a writer, I so agree with that. Second on the list today is a tutorial I found (via Urban Threads) on how to dye buttons. When I was a kid my grandma had a box full of buttons we could play with when we went to her house. I’ve always loved buttons and being able to dye them in cool colors is even more fun. If you need specially dyed buttons for an item you’re making, check out this tutorial. Third on the agenda today is a tip for saving money if you have a vinyl cutter. Everyone likes to make the most of all their supply purchases, and Stahls has provided a video that shows how to maximize scraps of heat transfer material. If you find you often have odds and ends of material left over, you may find this video very helpful. Fourth at bat today is a post from Seth Godin about the future of libraries and librarians. As someone who haunted the local library when I was a kid and who devoured books like they were candy, I’ve always been a big fan of libraries. Seth’s post does make a lot of sense though, the era as libraries as custodians of paper is pretty much over. Like everything else, libraries need to evolve with the pace of new technology. Seth has an interesting take on what libraries, and librarians, should become. Finally, I wanted to mention one EnMart related thing. We have a new YouTube channel. We’ve already added some original videos as well as marked as favorites some helpful videos from other companies. Our goal is to create an educational channel for both sublimation and embroidery. If you have a YouTube membership, please take a moment to subscribe to our channel. Lately I’ve been writing about great people or products that we’ve encountered as a result of our trade show experiences. Last week I wrote about Encore Embroidery and Iris Thread. This week I want to write about something which no one who sells at a trade show should be without, a good point of sale (POS) system. Ease of use and the cost of the system were key points. Our trade show strategy for 2011 was something we’d never tried before, so we weren’t sure if selling at trade shows would be a viable option for us. Given that fact, we needed a POS system that we could set up without an excessive amount of time and effort, and we needed something that we could put into place without spending thousands of dollars on a product we might not use more than once. 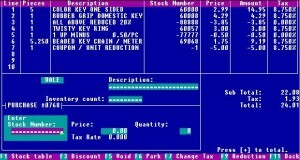 After some research, we found what has become, for us anyway, a great choice for a POS system. It’s called Cash Register and, while it’s not all fancy graphics and cool effects, it does everything we need it to do efficiently and easily. It also has a great price point, as the software can be downloaded for free. This program is a DOS program, so it looks pretty basic, but it performs all the functions you would want a point of sale system to perform. You can store inventory with a 26,000 item limit, run sales with cash, credit cards or checks, do discounts, and run reports. It can also be set up so it opens your cash drawer when you ring up a sale. You can manually enter items, or create barcodes and use a barcode scanner. We’ve used this product at several trade shows and it has done everything we’ve wanted it to do. The website for the site isn’t fancy, and the fact that it’s DOS based may give some people pause, but we’ve put this system through its paces and it’s performed beautifully. We checked out the program and the developer before we downloaded the program, and it’s all on the level. If you have questions about why someone would create and offer a fully developed POS system for free, you can find the answers here. You can also find answers to a whole bunch of additional questions on the FAQ page. If you’re looking for a point of sale system for your business, whether you run a retail store or sell at craft or trade shows, Cash Register or DHPOS as it’s also known, could well be the ideal solution. We’ve now used it for four shows and it has been a great solution for us. If you’re looking for an inexpensive way to add a point of sale system to your business, give this software a try. It may well turn out to be the ideal solution for you as well. First up today, we have Kathleen Fasanella’s post “How to Motivate Yourself with Envy“. Although she does talk in the post about envy being a motivator for competition, she also discusses something I feel strongly about, which is the idea that companies in competition can benefit more by supporting each other than they can by fighting each other. Obviously there is proprietary information that must be protected, but there are also a lot of benefits to working in harmony with your competitors. Ultimately, as Kathleen points out, working together can benefit the consumers, which ends up benefiting the companies as well. Second this week, we have 4 heat pressing tips for beginners from Stahls. I like this post because it sounds very like something I would write. I too, need to be reminded that a heat press is hot and I shouldn’t touch it. I also get impatient waiting for cold peel transfers to cool. I also really want to know what occurred during the great Cheez Whiz incident of 1991, but I suppose that would be a story for another post. This post has some good tips for heat press newbies delivered in a humorous way, so I’d recommend reading it if you’re just learning how to use a heat press. Third up, we should all congratulate Odd Guy Art on their one year anniversary. A lot of startup companies don’t get to that point, and any company that does is surely doing something right. Plus, I’m told, there may be some new shirt designs in the offing. Congratulations Graham and Marie on creating a great company with a quirky sense of humor and some terrific designs. Fourth on the docket today was have another congratulations to Robin Wilson of Robin’s Edge. She recently received an SBA award. She has been a force for good in the Buffalo business world, and is also very inspiring on Facebook and Twitter. I also love her attitude about receiving this award. I think it shows a lot of grace and class. Fifth at bat today is Urban Threads, which is having a coloring contest. This is a cool idea, and it’s made even more fun because the judges are my colleague Erich Campbell and Mr X Stitch, who writes a fabulous embroidery and needlecraft blog. The contest looks like it will be a lot of fun, and I can’t wait to see what everyone produces. Finally, I wanted to point out that I have a new post up at Stitches. This time around I’m talking about working with local media. I make my own suggestions for how best to do that, but I’d also like to hear yours. If you have an idea or technique you’d like to share, please leave a comment over on the blog. For those who don’t already know, EnMart exhibited at the DAX Show in Chicago last weekend. One of the best parts of exhibiting at those shows is the other exhibitors you get to meet. Nancy Rasmussen from Encore Embroidery is one such exhibitor. Her booth had been in the same neighborhood as ours at a couple of shows and we had a few discussions about the Melco machines she sells, repairs and trains people to use and our Iris thread. We’d talked before about having Nancy run the Iris Polyester Thread on the BRAVO machine she had in her booth, but in Chicago we finally made that happen. She pulled the thread she was running off her machine, and we pulled cones off our wall display and gave them to her to run. Let me stress these weren’t special cones, or pristine cones that had never been taken out of the box. These cones had been to a couple of trade shows, had been bounced around in a truck, and had been used as display thread. If any thread would show fractures or stress points or have weaknesses, this thread would be it. Nancy loaded all the thread onto her machine and started it running. That machine, and the thread on it, ran for the next two days without a thread break. Both the machine and the thread just kept going and going and going. It was an amazing, in person, demonstration of the strength and durability of the Iris thread. Even thread that had been roughed up and bounced around ran beautifully. If that thread ran well, can you imagine what Iris thread fresh off the warehouse shelf would do? You can see a short video of the Iris thread running on Encore Embroidery’s Melco machine on EnMart’s Facebook page. 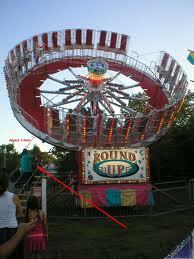 If you would like a sample of the Iris UltraBrite Polyester thread so you can do your own run test, please contact us. 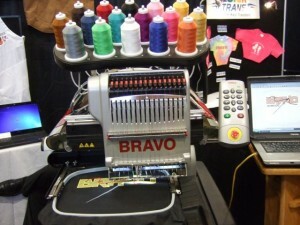 If you own or are thinking or purchasing a BRAVO Machine give Encore Embroidery a call. Nancy knows her stuff. We’re back in the office today after a wonderful appearance at the DAX Show in Chicago. We so enjoyed seeing everyone at the show. It is always fun to see our current customers and to meet new customers. There is always a thrill in helping someone start off with embroidery or sublimation as well. It was a great show, and I’d like to take a moment to say thank you to a few people who helped make it that way. First of all, Scott Ritter. Scott and his wife Margie are the ones who run the DAX Shows and they do a great job. Exhibitors are treated well, venues are nice, registration runs smoothly, the shows are a pleasure to exhibit at and, judging from the smiles on the faces of the attendees and the comments we hear, a pleasure to attend. Scott’s company, SMR Software, also makes a great lead retrieval system, which I will be writing a post about later in the week. Second, Jimmy Lamb and the Sawgrass team. Jimmy has always been a supporter of EnMart, and the Chicago show was no exception. He also gives great seminars and webinars, and educates a lot of people about sublimation and how to be successful with a sublimation business. We also appreciate Sawgrass lending us sales help for the busy times in our booth. Third, we have to thank Encore Embroidery. We’ve met Nancy from Encore at a couple of shows, where she’s had a booth in the vicinity of our booth. In Chicago, she ran our thread on the Melco machine she had in her booth, and the result was terrific. I’ll be writing a longer post about that later this week as well, but I just wanted to take a moment to say thank you to Nancy here. Finally, of course, we have to thank all the people who stopped by our booth to learn more about EnMart, or to tell us how great the products they already purchase from us worked. Meeting current customers and talking to new potential customers is one of the best parts of working a trade show. 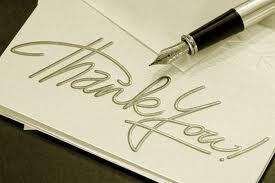 We appreciate all of you who made EnMart a stop on your trade show circuit.